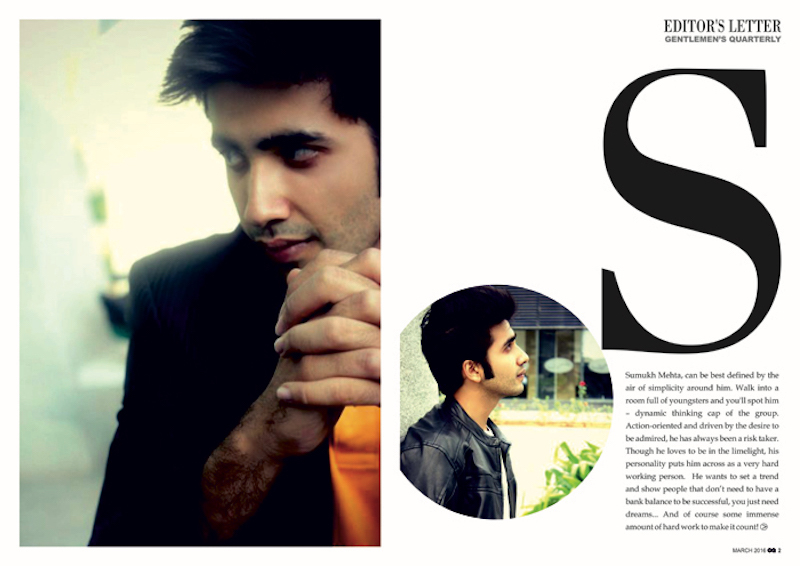 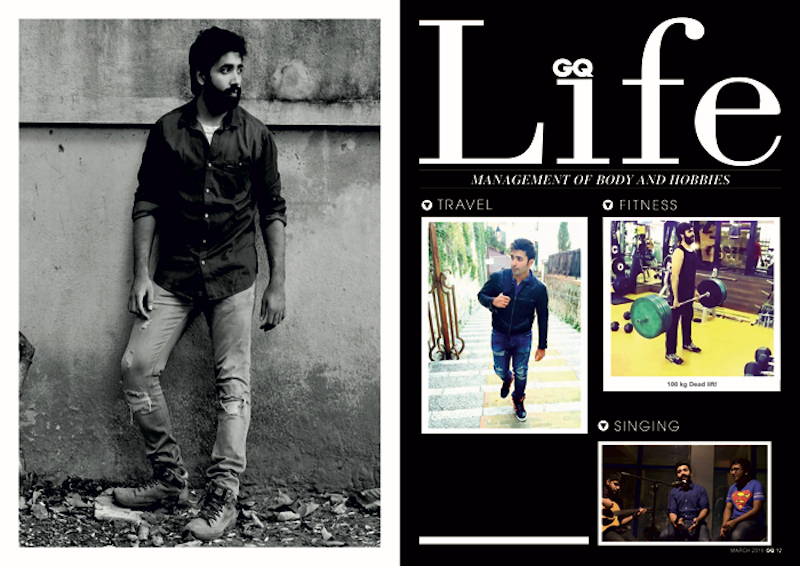 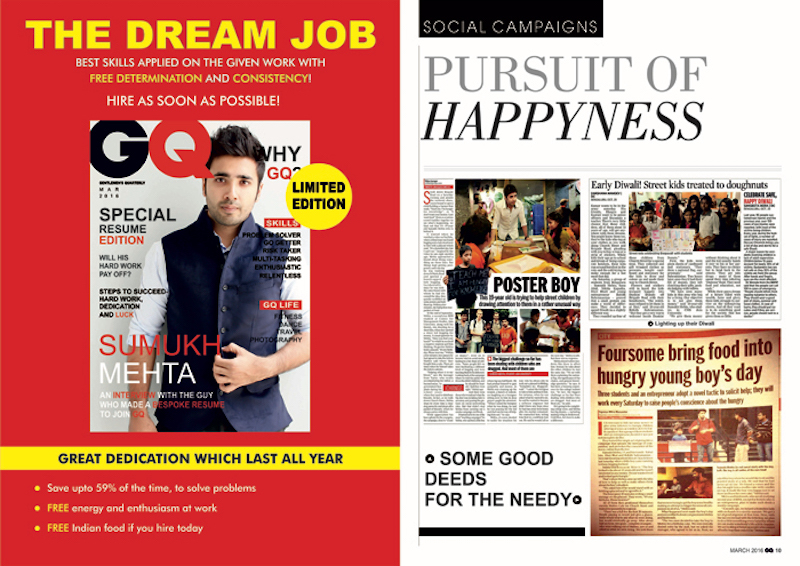 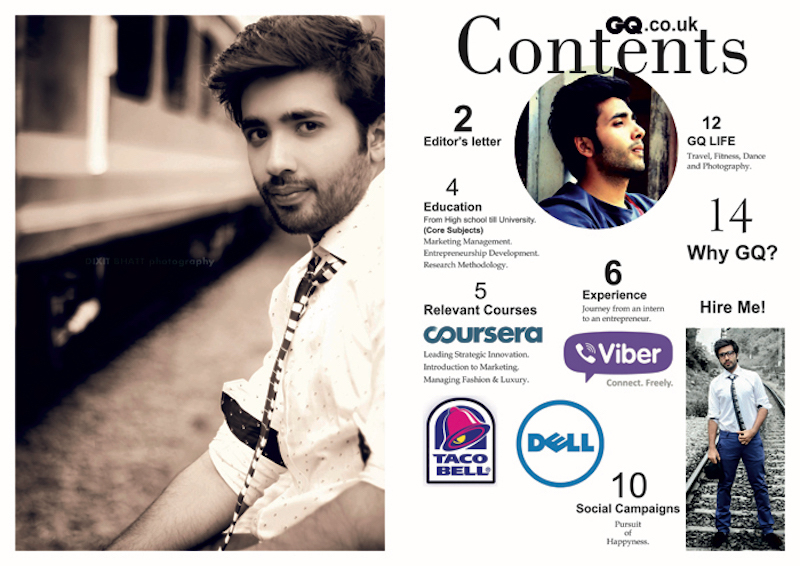 Instead of doing up a traditional resume, Sumukh Mehta, 21, decided to do a unique 20-page magazine spread with him on the cover as his resume. 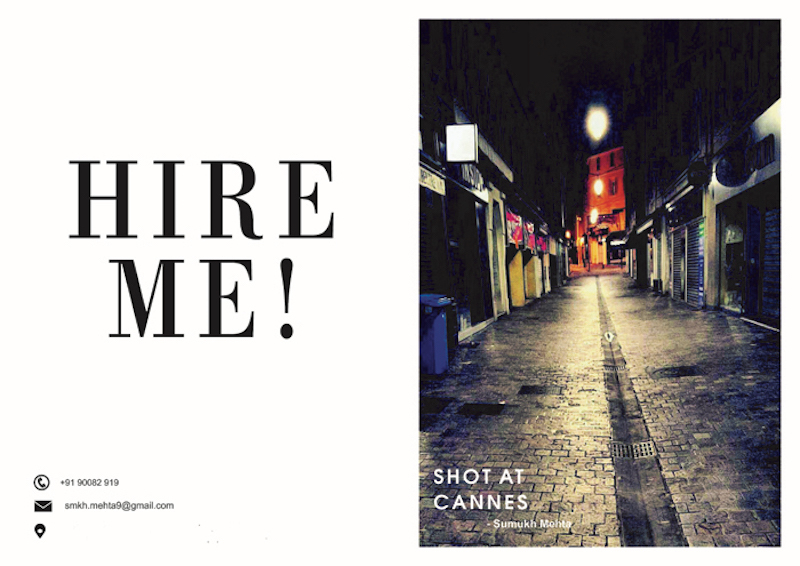 The result: he scored an intership with British GQ, without even needing an interview. 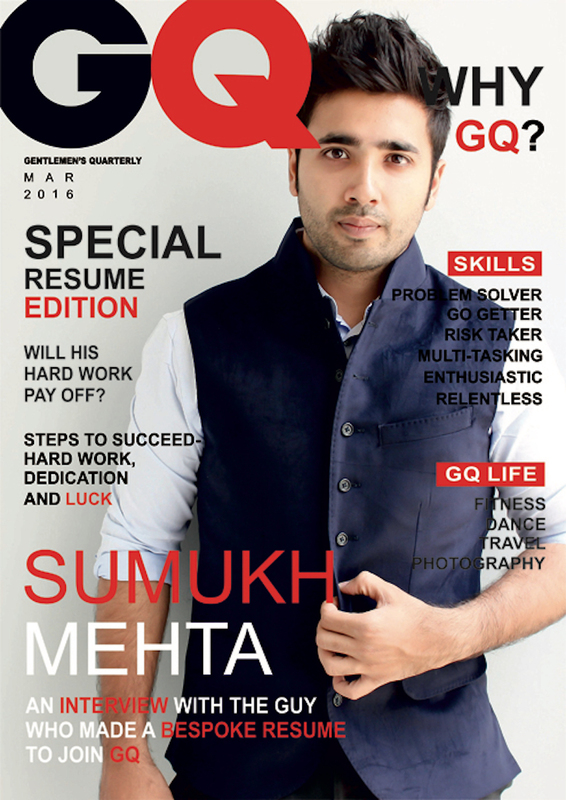 Mehta includes detailsa bout his work experience, coursework, education, and life stories. 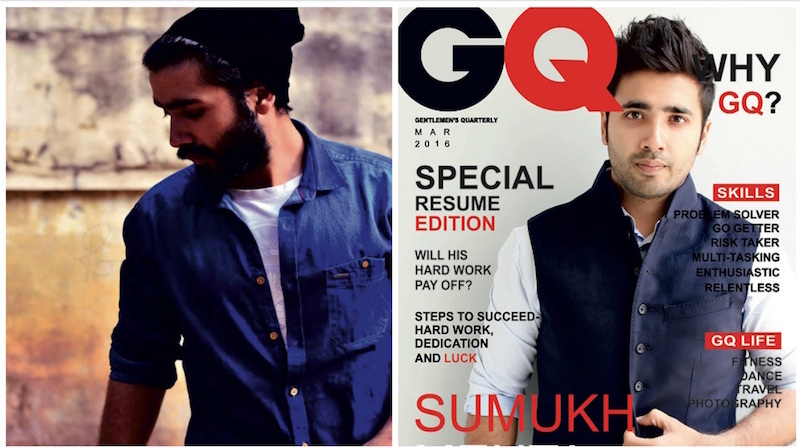 It's as if the whole "GQ" mag was dedicated to him. 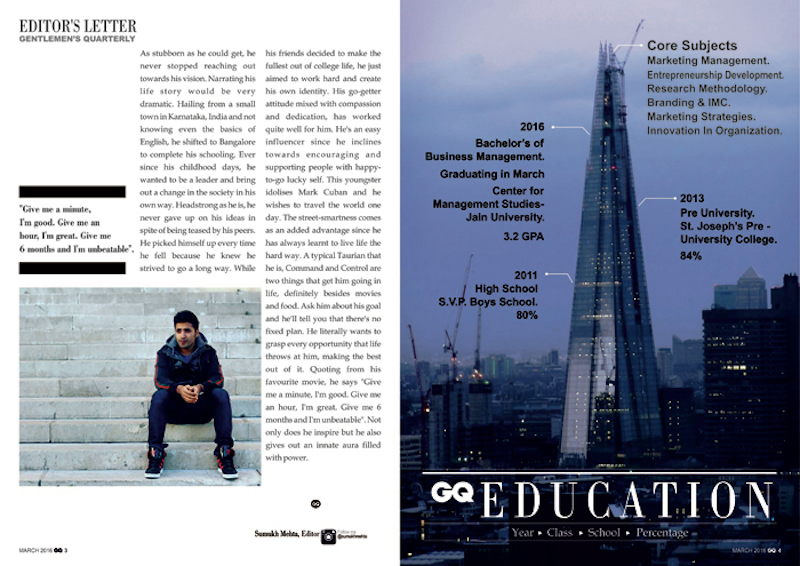 He convinced British GQ editor in chief Dylan Jones to give him the London intership. 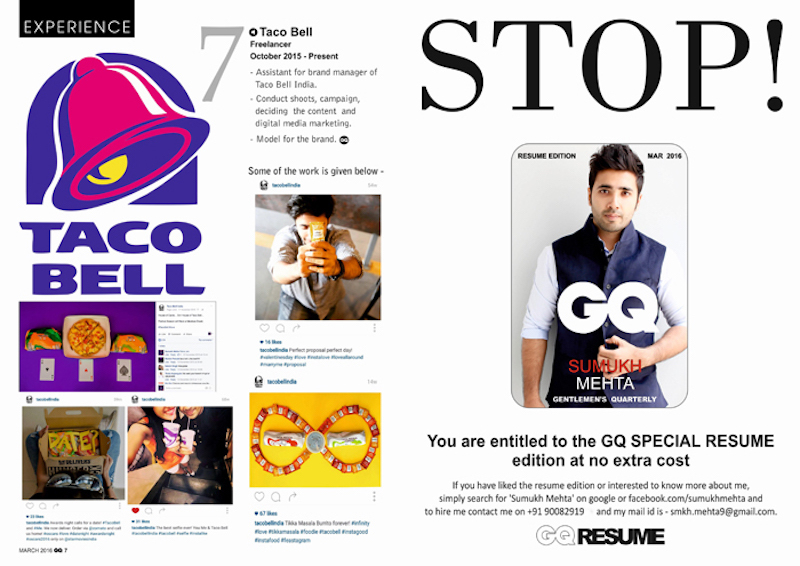 It took him more than three weeks to make the resume, including photoshoots, graphic designing, and content writing. 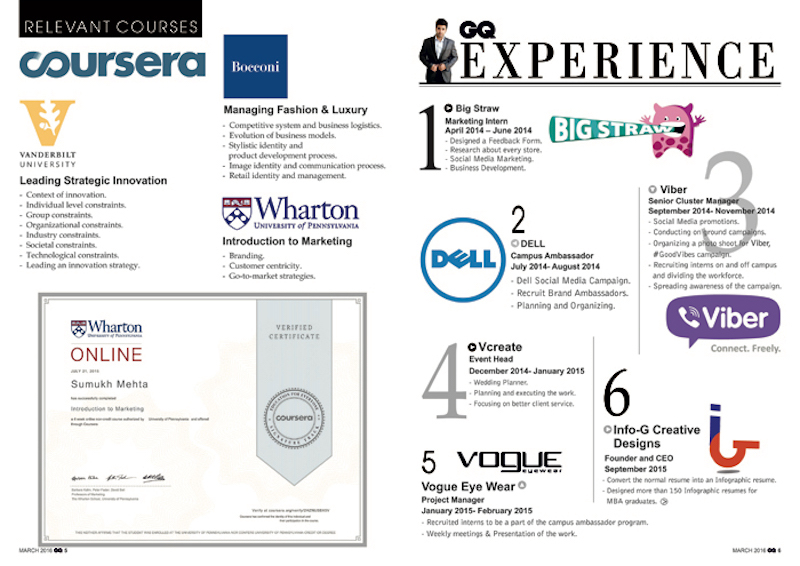 He has helped 160 clients with their resumes before for MBA graduates via his website Your Pitchh.